Last week when I was in Madison, I spent a night at my friend Sandra’s house. Sandra and I work together and have bonded over some of our common interests: she has two adorable kitties, loves to cook, and has a food blog! After work on Tuesday night, she took me for some good ol’ Wisconsin cheese, and then we went back to her place to make some wontons and potstickers! 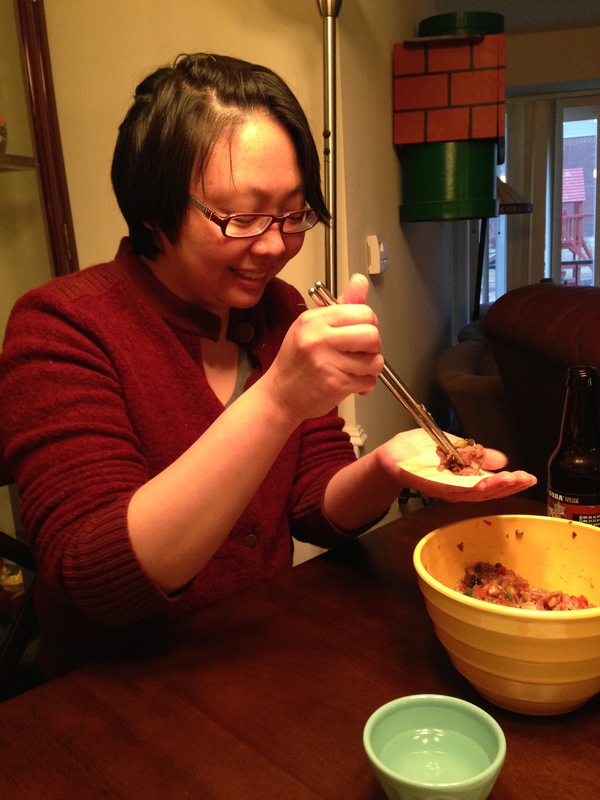 Sandra had already prepared the filling- turkey, bell pepper, mushroom, and some spices and we just had to wrap em up! I watched her experienced hands form perfect little wontons, and then took a stab at it myself. Mine most certainly did not turn out as lovely as hers, but as we neared the final few I think I finally got the technique down. 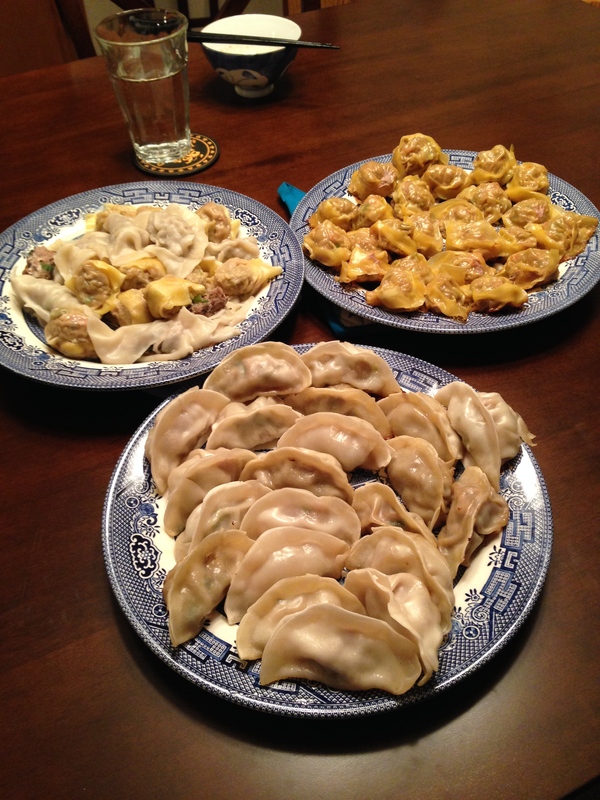 We boiled some, pan friend some others, and did the same for a few dumplings she had in the freezer. We made dipping sauces to our taste- using soy sauce, sesame oil, rice vinegar, chili paste, and a touch of sugar. Normally there would be black vinegar in there, but Sandra was all out! When we finally dug in (it took quite awhile to hand-wrap all those wontons!) it all became worth the effort. 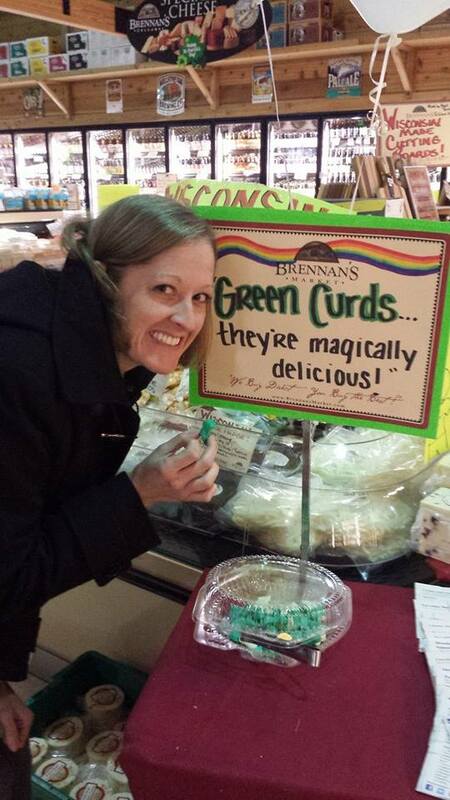 They were so incredibly delicious, I could have eaten an entire plate! Something about homemade dumplings is just so comforting! 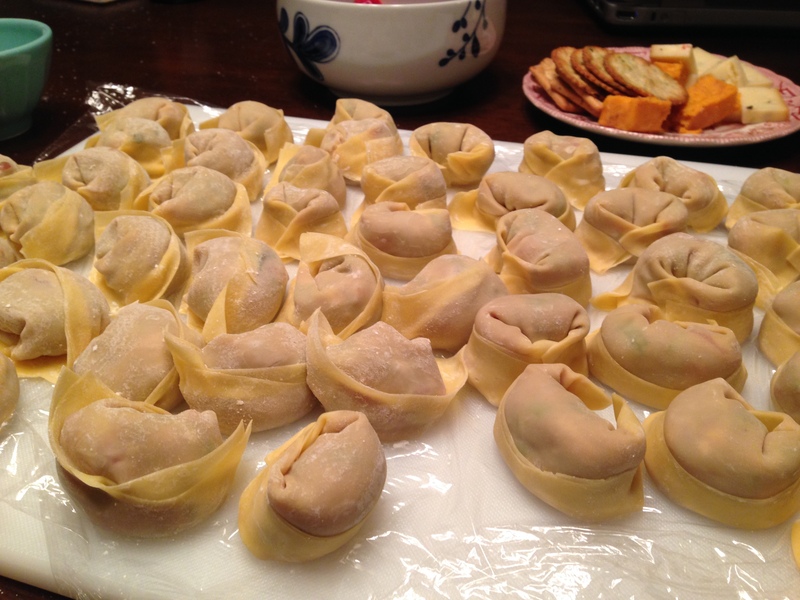 I don’t think wontons are something I’d typically make for myself, but if I’ve got an extra set of hands or two, I think they’d make a great party dish! 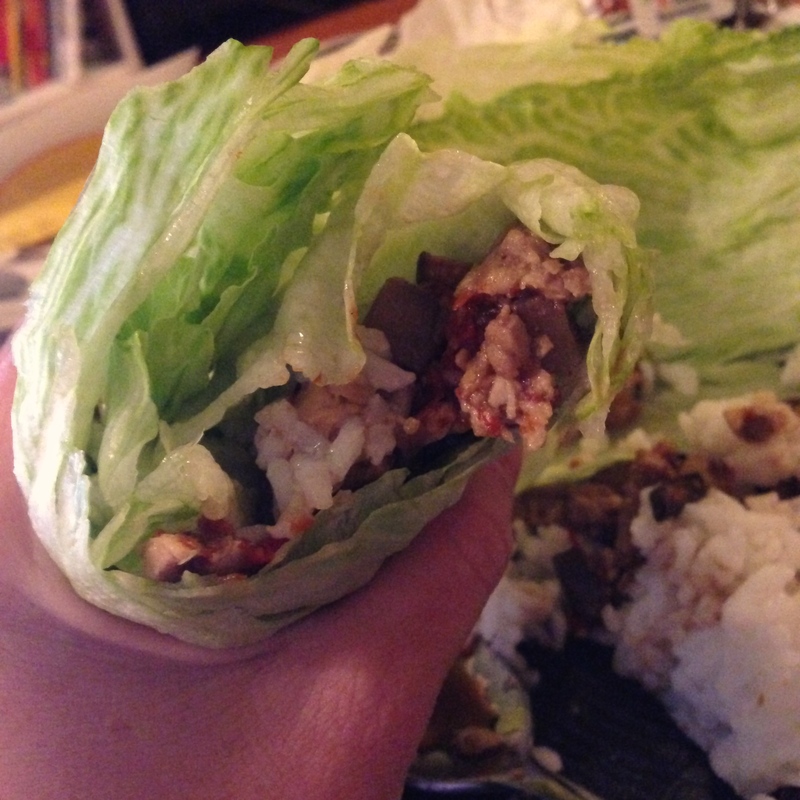 When I arrived home later in the week, I was craving those flavors again so I decided to make something a bit less time-intensive but with similar ingredients: Lettuce Wraps! The filling was tempeh, water chestnuts, red bell pepper, mushrooms with a sauce of ginger, garlic, soy sauce, brown sugar, rice wine vinegar, and sesame oil. 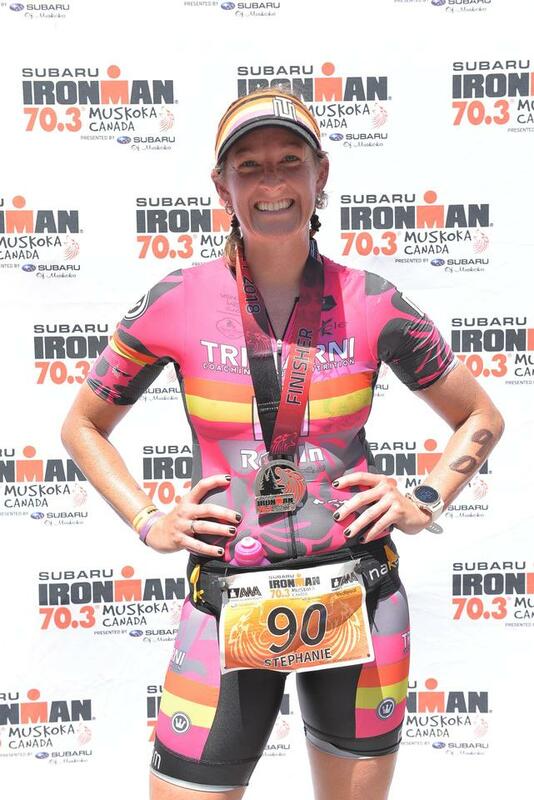 I let all that cook down in the crock pot while I went for a long bike ride. Dipping sauce was similar, but I added some garlic chili paste to that. Served with some iceberg leaves and some left over rice and voila! Easy peasy! I’m sure you could make these with ground meat- pork, turkey or chicken would probably work best. You can suit the sauce to your tastes too- you don’t need to stick to my measurements. Play around and find what suits your taste buds best! 1. Cut the tempeh into cubes and steam for about 5 minutes. 2. While the tempeh is steaming, chop your peppers and mushrooms. 3. In a small bowl, combine the garlic, ginger, rice wine vinegar, soy sauce, sesame oil, and brown sugar. 4. In a larger bowl, combine the tempeh, sauce, water chestnuts, peppers and mushrooms. 6. Cook on low for about 6 hours in the crock pot. 7. 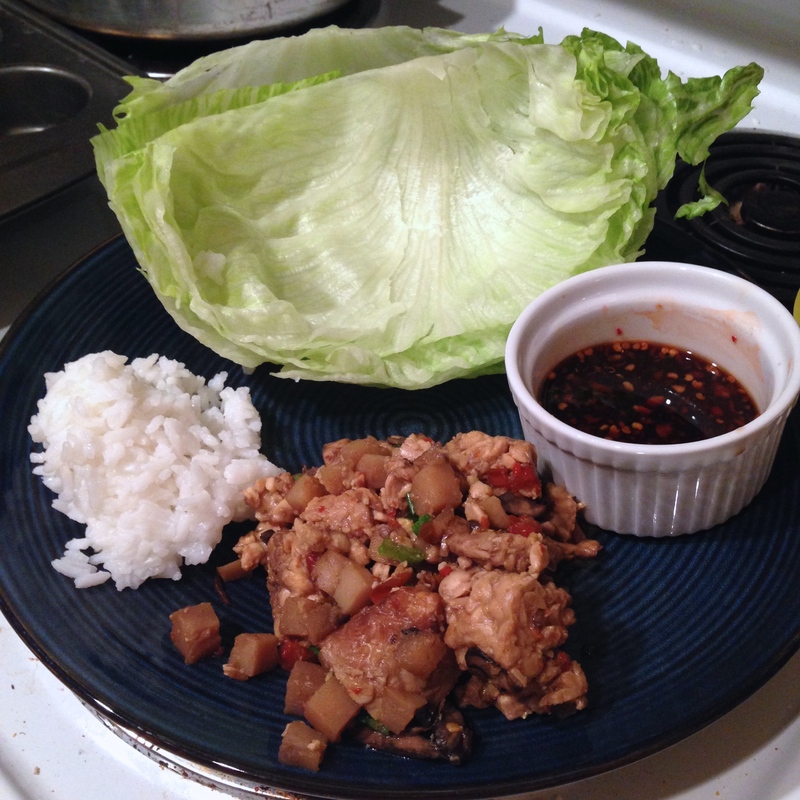 Serve with lettuce leaves, rice, and the dipping sauce. For dipping sauge, combine soy sauce, rice vinegar, sesame oil, garlic chili paste, and sugar to taste! Add less chili paste for less spicy! I typically do mostly soy, about half that amount of rice vinegar, a touch of sesame oil, chili paste, and sugar.